Welcome to The Prabhupada Connection. Please come in and make yourself at home. This is a friendly website, and we're pleased to have you here. 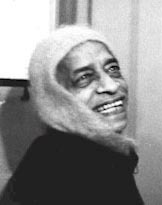 As you can see from our home page, this site is dedicated to His Divine Grace A.C. Bhaktivedanta Swami Prabhupada, the Founder-Acarya of the International Society for Krishna Consciousness. Srila Prabhupada, as he is affectionately known by his disciples and followers, has had a profound effect on the spiritual lives of many millions of people around the world. As a pure unalloyed devotee of the Supreme Lord Sri Krishna, Srila Prabhupada's accomplishments and glories are unlimited. Certainly to know him is to love him. The purpose of this website is to help expand that love as far and wide as possible. However, even if there were billions and trillions of websites created in his glorification, it wouldn't be nearly enough. Bowing at his feet and praying for his mercy, we hope that we can somehow please him through this humble and imperfect offering. We're not professionals here, so kindly forgive our imperfections as you try to navigate your way around. There is more here than meets the eye at first glance, so please take your time to discover all that's available. You can find a complete listing of all sections found on this website in our Site Map. Everyone is invited to participate in The Prabhupada Connection. Please feel free to submit your offerings, artwork and memories of Srila Prabhupada. Your contributions are highly valued and appreciated. It's an honor for us to serve you. We hope that you enjoy your visit and please come again soon.